"Imagine a day in which you can be in the midst of chaos but maintain a clear head and sense of balance and focus and have your feet firmly planted on the ground. Even the busiest of women among us has the ability to embrace mindfulness and will reap the benefits of doing so! 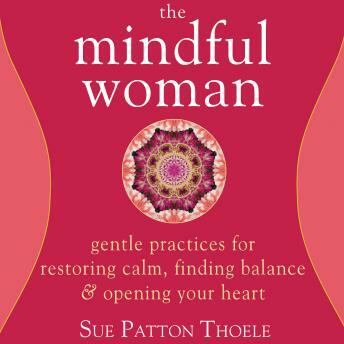 The book offers over sixty-five simple and effective practices to help you embrace mindfulness one moment at a time. Filled with both the author's and other women's personal stories about the joys and hurdles that come with embracing mindful living, The Mindful Woman is a friend whose hand you can hold on the path toward being present in the moment. Finding your way will lead naturally to a more open heart, inner peace, and greater zest for life-a path well worth pursuing."